In response to the renewed interest in the 1986 Chernobyl Nuclear disaster due to the unfolding events at the Fukushima Reactor, Japan and a global re-evaluation of nuclear power as a viable power source I have re-edited my photoshoot from Pripyat (Pripiat) & Chernobyl in 2007 adding a further ten previously unseen images along with captions, maps and satellites images which follow below. 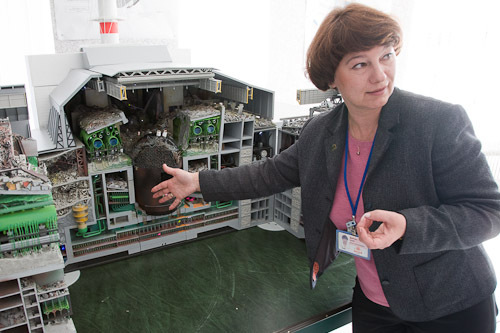 Reactors One to Four at the Chernobyl Nuclear Power Plant. Number four at left was the reactor which exploded seen with the pale grey sarcophagus roof. 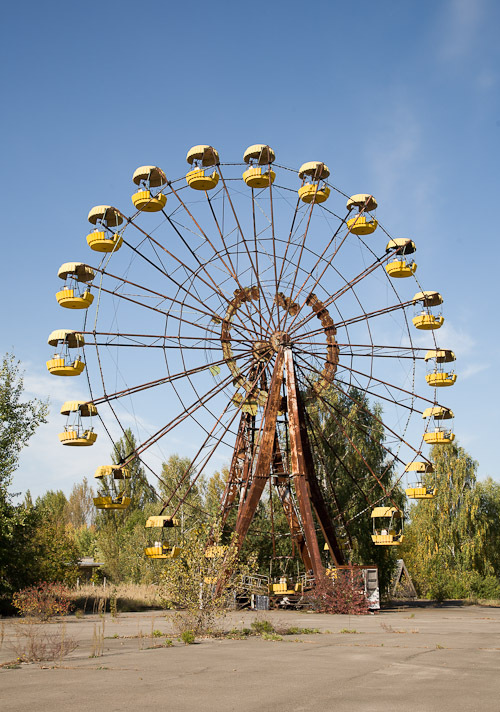 Now with the nuclear disaster at Fukushima Reactor, Japan as a result of the 2011 Tōhoku earth quake and tsunami these images of Chernobyl have a renewed poignancy. A terrible disaster and may not recur. Just want to know What is your source for this information? I am very interested to know where it came from…. IT’S NECESSARY EMBARGO ANTI-RUSSIAN NUCLEAR DESASTER…MOSKOW AND PREZIDENTS GORBACEOV, ELTAN, PUTIN, MEDVEDEEV OCULTED THIS NUCLEAR DESASTER ”NUMBER 6 IN NUCLEAR SCALE EVENTS”-LETHAL…5.000.000 INNOCENTS EUROPEAN VICTIMS DIAGNOZES CANCER EXPOSURE OF NUCLEAR RADIATION. RUSSIA MUST RESPONSABILIZED .